Sport Court is the Original inventor of modular, high performance indoor and outdoor game courts that is exceptionally safe, reduces shock on joint - young and old - delivers excellent traction and ball response. As the exclusive provider of Sport Court band game court surfacing, Sport Court East has a network of court builders that have built 1000's of courts over the last 25 years. 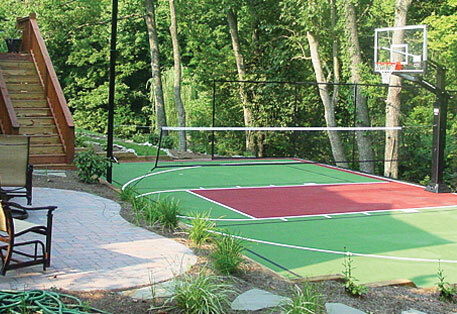 Installing an outdoor game court in your yard will change the lives of your family and friends. A court draws people, they want to play on it. They want to get off the couch, leave the electronic's behind and go outside to play. We built a court for a family in Long Island a couple of years ago, I recently went back to visit, there were literally 18 bicycles in the yard and the father said to me "my biggest problem is keep enough water and soda in the house". Good problem to have. Most of my customers have commented that they would rather have all the other kids in their yard than not know where their children were. 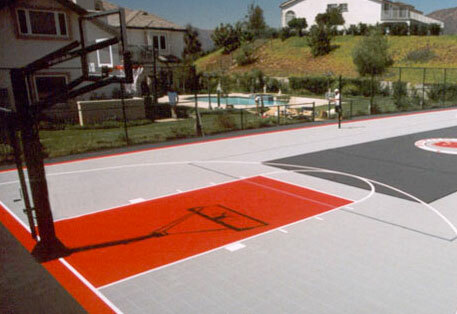 Sport Court East is an exclusive provider of Sport Court brand Authentic Original Game Court products. Our local Court Builders can design and build a spectacular backyard recreation center for you from start to finish, just call or email. 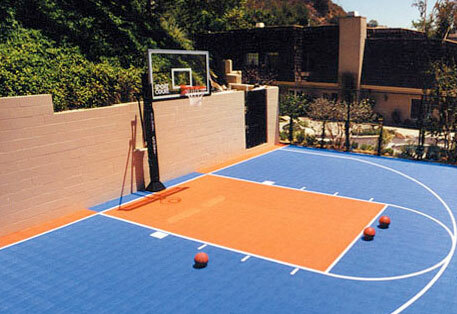 Read our blog post Six Questions to Ask Before Buying a Sport Court Game Court. Since its launch in 2005, PowerGame has become the pre-eminent outdoor modular game court sports surface. Its patented two-tier surface provides superior playability and traction, while reducing the likelihood of abrasive skin injury. In addition, PowerGame features the highest shock-absorption rating among all outdoor modular surfaces. Whatever your sport or activity, when you want the best, PowerGame is your choice. Sport Court is proud to be the only sports surface manufacturer with an approved system for outdoor competition. Newly designed for 2008, SportGame is an excellent multi-purpose outdoor game courts sports surface. SportGame delivers solid traction and ball response, with a reduction in abrasiveness, all at an affordable price. SportGame delivers both great value and performance. SportDeck, the standard of the industry for over a decade, continues to be a top performer, especially for tennis and net games. Its patented top surface increases ball spin and is a durable, attractive alternative to traditional tennis surfaces.